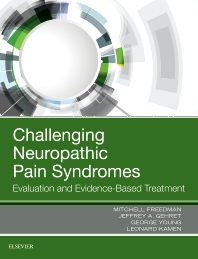 Get a quick, expert overview of the many key facets of neuropathic pain syndromes with this concise, practical resource by Drs. Mitchell Freedman, Jeff Gehret, George Young, and Leonard Kamen. This easy-to-read reference presents a summary of today’s best evaluation methods and evidence-based treatment options for complex regional pain syndrome as well as other challenging syndromes. Consolidates today’s available information and experience in this multifaceted area into one convenient resource.